The Sixties were a period of dramatic political and cultural change. The children of those who came of age during the Great Depression and World War Two began to question their parents, and more importantly, the institutions they held dear. It was the era when mankind left the planet of his birth and stood on another world. Television had supplanted radio as the dominant home entertainment, although radio continued to be an important source of news and information. The year 1960 was more the end of the Eisenhower 1950s than the beginning of the Sixties. 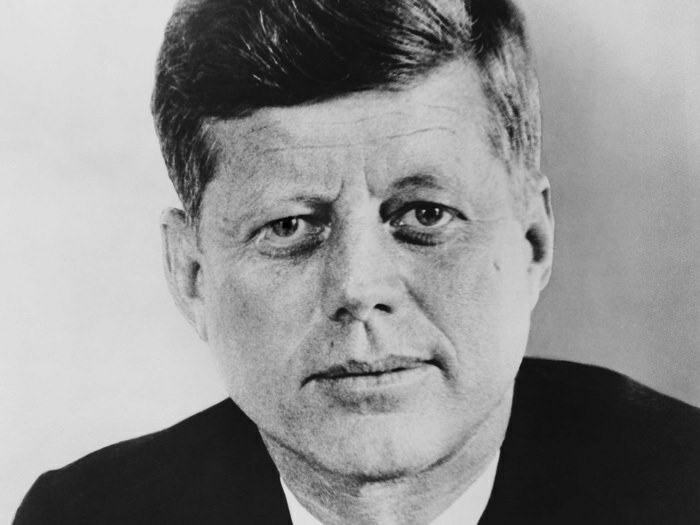 Historians describe the Sixties era as beginning when John Fitzgerald Kennedy assumed the Presidency of the United States of America. In fact, the era began a few days previous at President Eisenhower's farewell address, when he gave the nation a strong warning to beware of “unwarranted influence... by the military-industrial complex”. The speech is an early warning that in the Cold War, not all the enemies stand on foreign shores. The Kennedy Presidency faced its first Cold War test over the Congo Crisis, which began as the African Nation gained independence from Belgium. Kennedy's new ambassador to the United Nation, Adlai Stevenson, made a speech in the UN Security Council on February 22, 1961, outlining his country's policy toward foreign influence in Africa, a speech which was noted as having the most violent interruption of any in UN history. On February 5, 1961, Cmdr Alan Shepard became the first American to fly into outer space. In this collection, we hear the news report from February 1, as the final preparations for launch were accomplished, and the news conference of all the Mercury Astronauts on February 8. For coverage of the space flights see our Space Missions Collection. On August 13, 1961, construction of the Berlin Wall begins, separating West Berlin from East Germany and East Berlin. The Wall would be a potent and lasting symbol of the Cold War, but the most dangerous Cold War confrontation would come in October, 1962, when President Kennedy reacted to the Soviet Union placing nuclear missiles in Cuba, just 90 miles from US shores. After the tension of the Missile Crisis (“the other guy blinked”), Soviet Premier Nikita Khrushchev was forced to step down. On May 8, 1963, Dr. No, the first 007 film, is released in the US. On June 26, President Kennedy expresses his support for West Germany, 22 months after the Berlin Wall is raised, in his “Ich bin ein Berliner” speech. 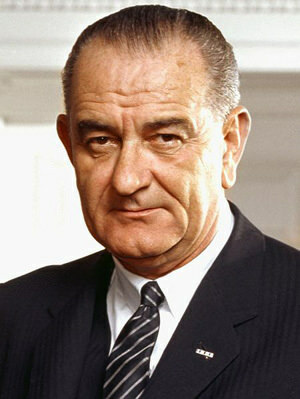 The speech is considered the high point of the Kennedy Presidency. On the 1st and 2nd of November, 1963, a coup took place in South Vietnam as President Diem was removed from power. AFRS Saigon announces a curfew for American personnel in the capital. President Kennedy is shot in Dallas on November 22. Lyndon B. Johnson takes the oath of office aboard Air Force One, with Jackie Kennedy by his side, as President Kennedy's body is flown back to Washington D.C.
President Johnson opens 1964 by declaring War On Poverty, and bases his re-election campaign on “a Better Deal”, a follow on to FDR's New Deal and Truman's Fair Deal policies. On March 28 we hear reports of 9.2 magnitude Great Alaskan Earthquake. On November 13, 1966, NBC broadcasts a celebration of the network's 40th anniversary. Hosted by Edgar Bergen and Charlie McCarthy, the program features a number of historic events. The American space Program received one of its greatest setbacks on January 27, 1967, when fire sweeps through the Apollo 1 space capsule, killing the three astronauts on board. Civil rights leader, Reverend Martin Luther King was shot dead in Memphis, Tennessee, on April 4, 1968. With racial tensions high, rioting breaks out in many major cities, although violence is held in check in some cities due to the direct involvement of civic leaders. In Indianapolis, where Bobby Kennedy was campaigning for the DemocraticNomination for President, the campaign stop was scheduled for the heart of one of the city's African American ghetto. Rather than the rousing campaign speech he was expected to give, the former Attorney General gave some quiet, sympathetic remarks which are credited with curbing rioting in Indianapolis. Just two months later, Robert Kennedy was slain by an assassin's bullet in Los Angeles. 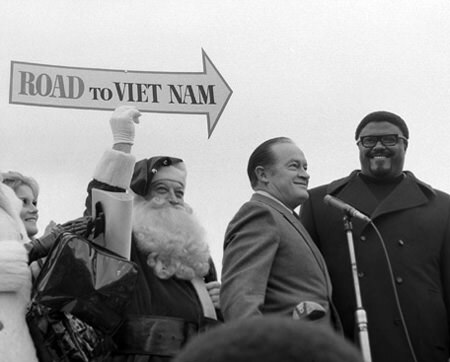 The AFRTS Christmas Special for 1968 features Bob Hope performing for the troops in Long Bihn. On March 30, 1969, the body of former President Eisenhower was carried from the National Cathedral to lie in state under the Capitol rotunda. Eisenhower passed away two days earlier after a long illness at Walter Reed Army Hospital. Be the first to comment on "News Recordings 1960 1969"